Semi-crystalline materials have a highly ordered molecular structure with sharp melt points. They do not gradually soften with a temperature increase, instead, semi-crystalline materials remain solid until a given quantity of heat is absorbed and then rapidly change into a low viscosity liquid. 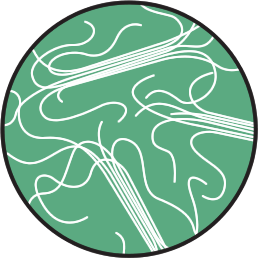 These materials are anistropic in flow, shrinking less in the direction of flow vs. transverse to flow. They have excellent chemical resistance. Semi-crystallines exhibit substantial improvement in their HDTs when reinforced and retain useful levels of strength and stiffness well beyond their glass transition temperature (Tg). 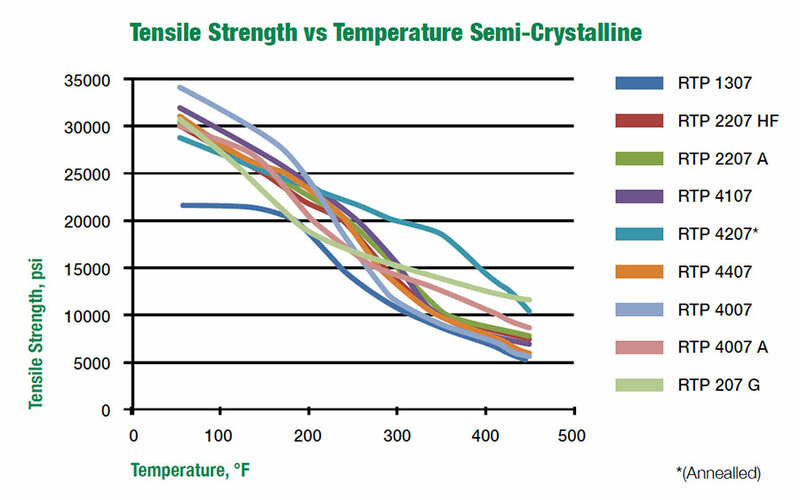 Note that all the semi-crystalline polymers start with fairly high properties that gradually decline. As they near the Tg, the slope of the reduction increases. 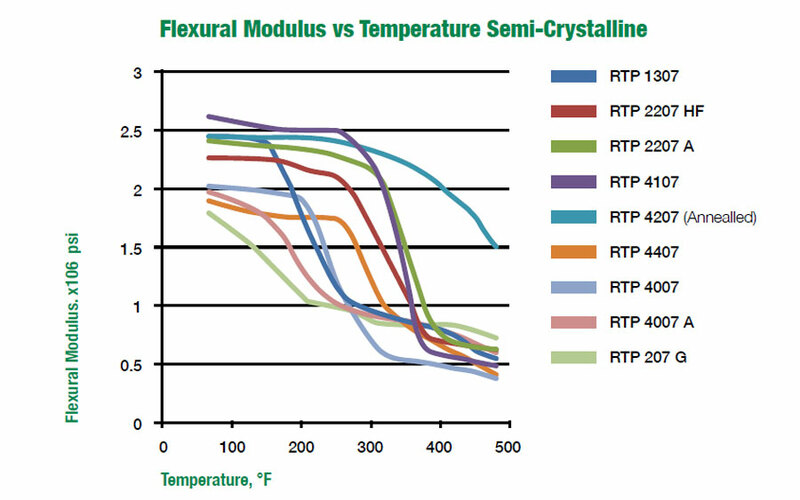 Then, unlike amorphous polymers, the rate of loss stabilizes and they remain useful until they get near their melting point.